Stage 1: How long does it take you to start your divorce process? This is completely up to you and your spouse. Stage 2: How long does your divorce process take? This can depend significantly on the type of process you choose. Mediation is typically faster than going to court, for example. Stage 3: How long does it take for a divorce to become final once filed with the court? In Massachusetts, once a divorce is finalized by approval of an agreement by a Judge or by a judgment after trial, there is still a waiting period before the divorce is final. This is called the Nisi period. In a Joint Petition for Divorce this waiting period is 120 days. 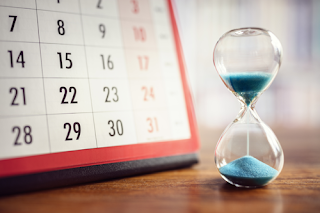 In a Complaint for Divorce this is a 90 day waiting period (though it's also important to note that a Complaint cannot go to Judgment until at least six months after the date of service). Given this 120 waiting period if you're looking to figure out how long it takes to get divorced you have to count back from the date you want your divorce to be finalized. That waiting period can be calculated back to August in order to be divorced by the end of the year if you are proceeding by (or hoping to proceed by) agreement. Often times, clients are prepared for finalization but do not anticipate the inevitable waiting period. It is important to know the steps so that couples are aware of the time it takes and what will be expected of them. Step One: Schedule a Mediation with us! Upon completion of a mediation process, the agreement, joint petition and other court documents need to be drafted before you can file for divorce. At Skylark we prepare these documents for our clients as part of the mediation process, or if you mediated elsewhere or started out with a full agreement then you just need it to be written into the legal format. We can be hired to prepare these documents on a flat fee basis as outlined on our pricing page. The preparation usually takes 2-4 weeks depending on how quickly our clients provide all the documentation and review the draft for accuracy. So now you are at the point where you are ready for Step Three and fully prepared to attend your hearing. This part of the process varies by county. In some counties you can get a hearing immediately, and in others you may have to wait 30-60 days for a hearing date once your paperwork is filed. While there is a 120 day waiting period, there is no further action required to finalize your divorce during that time period. Your agreement may require additional steps be taken to complete your agreed upon division of assets (such as completion of a QDRO), but these steps will not change the final divorce date. The 120 day waiting period is not always exactly 120 days as explained in this prior post: When does 30 + 90 not equal 120? In Divorce Court! December 31, 2018 - Divorced by: In order to be divorced on December 31 of 2018, you would need to have the Judgment of Divorce become final on that date. A Judgment of Divorce Nisi in Massachusetts becomes final on the first business day 90 days after it issues. 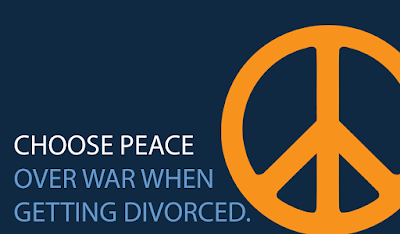 Since December 31, 2018 is a Monday, the last date that divorces can be final in 2018 is Monday, December 31, 2018. So we count back 90 days from December 31, 2018. December 31, 2018 - Final Divorce Date: 90 days prior to December 31, 2018 is Tuesday, October 2, 2018. October 2, 2018 - Nisi Date:The Judgment of Divorce Nisi date has to be a business day as well. Since this is a Tuesday it can be the Nisi date. August 31, 2018 - Last Hearing Date: In order to have a Judgement of Divorce Nisi issue on Tuesday, October 2, 2018, the Joint Petition must be approved 30 days prior to that date. 30 days prior to October 2, 2018 would be Sunday, September 2, 2018 which obviously wouldn't work for a hearing because the court is not open on Sunday. Therefore, the latest day you can have a hearing on a Joint Petition in Massachusetts in 2018 and still be divorced by the end of the year would be Friday, August 31, 2018. August 24, 2018 - Safe Hearing Date: It is usually a good idea to give yourself an extra week in case anything goes wrong at the hearing, so that brings us back to Friday, August 24, 2018. June 22, 2018 - Safe Filing Date (depending on county): This part of the process varies by county. In some counties you can get a hearing immediately, and in others you may have to wait 30-60 days for a hearing date once your paperwork is filed. Check with a professional on the likely timeline in your county. May 22, 2018 - Hiring Date for Agreement drafting: It is a good idea to give at least 2-4 weeks for drafting and revisions of the document, even once a full agreement is reached. January 1, 2018 - Hiring Date to begin Mediation: Unless you've already begun a mediation and are moving along successfully, it is unlikely you will be able to complete all the necessary steps described above to complete a divorce in 2018. If you have completed these steps on time, your divorce should be finalized by the end of the year. If not, your divorce will not be finalized until 2019, which affects your tax filing status for 2018. The process obviously varies depending on your needs as a client but it is part of our job to time manage and make sure we are on task. We feel it is beneficial though for you to know on your end the lengthiness of the process and your necessary steps!